Ships from and sold by RAINYSTORM'S. Comment: All pages and cover are intact (including the dust cover, if applicable). Spine may show signs of wear. Pages may include limited notes and highlighting Ships direct from Amazon! Satisfaction Guaranteed! Triumphant renewal. Vital energy. Creativity is as reliable as the sun. Its ceaseless power streams through barriers to awaken seed potentials; once sprouted, they grow with unique purpose and splendor. All bask in its warmth. The sun gathers and spreads the forces of the universe  the creative energy that keeps us alive. Birth, transformation, and rebirth. Each new day. Creativity, like the sun, is ever present. And so it is also in those around you. An interest stirs. New tasks await. The impetus for change has begun. Take time now to challenge your perceptions and embrace a new view. Challenge yourself to become aware of where your hands are tied and how to free them. Liberate your creative energies. Discover the developed and undeveloped parts of your personality. The decisions you make are at stake. Choose to make good ones. Use your creative potential. Creativity and Personality Type prepares you for your future. It reveals how your pattern of personality naturally translates and uses creative energies. You will learn your essential energy pattern, how to shift your energies to open yourself to new perspectives, and how to use helpful tools to deliberately inspire the release of creativity in others as well as yourself.  an introduction to the theories of creativity, temperament, and psychological type.  cutting edge tools, proven methods, and innovative techniques for using personality type information and creativity.  exercises that show you how each of the 16 types has its own unique way of dealing with situations requiring creative solutions.  a guide for idea generation.  23 tools for you to use to help inspire the creativity in others. "An invaluable resource for any learning and development practitioner who values diversity and creativity in the workplace." 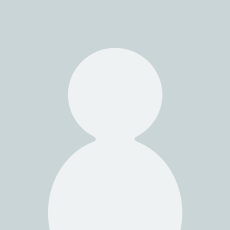 -- Sandy Schwartz, Former Corporate Education Manager Warner-Lambert, Canada Inc.
Marci Segal is Principal of Creative ProblemSolving, founded in 1984, Toronto, Canada, an international innovation and creativity consulting organization. Marci is an MBTI qualifying instructor and uses the principles of creative studies and personality type to help individuals and communities within organizations develop a best work environment. Her education includes graduate and undergraduate work at the Center for Studies in Creativity in Buffalo, NY. She is a former president of the Ontario Association for the Application of Personality Type, an active Association for Psychological Type member and senior faculty at Creative Problem Solving Insitute in Buffalo, NY. Marci is recognized worldwide for her contributions to the fields of creativity and psychological type by integrating the frameworks for heightened practical applications in both fields. In 2000, Marci was given the Distinguished Leader Award for exemplary leadership, in the field of creativity at l! arge by the Creative Education Foundation, Buffalo, NY. This is the fifth in the Understanding Yourself and Others® Series, and the most ambitious project of the set. Here we have a whole creativity workshop in one book. Marci has combined her extensive knowledge and experience in the field of creativity, and her training in temperament and psychological type to produce a great trainers' and participants' manual. While it would greatly benefit a creativity facilitator to experience Marci's course, this book is extensive enough for someone with a background in creativity and personality type to do a very creditable job with a group. The book even includes many trainer tips of what to expect from the workshop participants. As a temperament and personality type facilitator myself, I was excited by the wealth of material presented and the logical unfolding of the topic. This isn't always true of this kind of book. Sometimes trainers' books have all kinds of materials missing that the author only gives at the training program. Other books are written for the general public and leave out too much background material for any meaningful self-help to occur or for a facilitator to cover the topic in depth in a workshop. The book begins by an overall outline of creativity. One of the key stereotypes of creativity is that it has to be something unique and "way out there." Marci takes great pains to emphasise that creativity is the ability to initiate change. There are a number of exercises and leaders' tips as to how a group is likely to respond and how to deal with possible problems. Then the book moves on to temperament in a section called "Discovering Your Creative Voice." Helping people to see that there are many ways to be creative and that their kind of creativity is usually related to their personality, gives them a legitimate voice in a creativity session. So the next step is to help people become aware of their temperament. As an associate of Linda Berens, Marci begins with temperament and then later moves into psychological type, which from their experience gives an overall more accurate best-fit personality type for the individual. Marci uses her own unique method of determining temperament. She has participants answer creativity related questions and then has them compare their answers to four groups of answers which turn out to be typical responses of the four temperaments. Another exercise lists a large number of definitions of creativity by world renowned authorities. Participants are to choose ones they relate to. Then they are to compare their choices to four sets of choices which also turn out to be the four temperaments. With this second confirmation of best-fit, participants move on to reading their temperament descriptions that are taken from Berens's book on temperament (1998). To demonstrate temperament differences participants are given an exercise where they take some craft materials and are told to be creative. Marci describes how in one of her workshops the four temperament groups reacted in very typical patterns. The description is a hoot, and I can't wait to try it with a group. She then follows up this exercise up with more temperament related creativity exercises. The author then introduces Jung's theory of psychological type, showing how an understanding of the cognitive processes creates balance in divergent and convergent thinking. Participants find out their psychological type by engaging in creativity-related activities. They learn about the eight voices of creativity, i.e. : the four functions in their introverted and extraverted forms. Since these eight voices are in a hierarchy or a type dynamic, the code for determining the type dynamic of each type is explained. Exercises show how each of the sixteen types has its own unique way of dealing with situations requiring creative solutions. Now that participants know about information-gathering (the perceiving functions) and decision-making (the judging functions), the next step is to show how the creative process begins with divergent thinking, and then it has to use convergent thinking. First we want to generate a mass of ideas and then we need to winnow them down to practical ideas that can be implemented. In the idea-generating setup section, there are exercises that demonstrate both of these processes. The final section, "Tools for Inspiring the Many Voices of Creativity," gives 23 detailed exercises to use with groups including helpful tips for the facilitator. These are presented as divergent exercises arranged by temperament, and then convergent exercises arranged by the four judging functions. The book closes with appendices that include "Essential Qualities of Personality Patterns," and "Glossary for the Temperament Targets," both by Linda Berens, and a reference section. It is fascinating to see how temperament and psychological type can be successfully applied to new areas of expertise. Marci has taken the field of creativity and enhanced it tremendously by using her knowledge and experience of temperament and psychological type. Even if you have no intention of facilitating a creativity workshop, reading about how personality and creativity relate will expand your knowledge of both temperament and psychological type. I can't wait until she gives a course on creativity that I can attend. It looks like a lot of fun! This book is very helpful to people that want to understand creativity and how diferent people handle it. 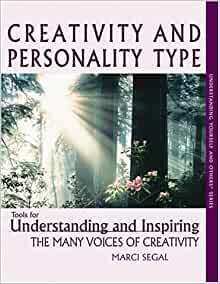 It is the first book that relates experiences with Creativity, Personality Type and Temperaments. Segal's book has many exercises and ways to show us how to work with creativity and use our behaviors. It is easy to understand our styles using the Jung archetypes, and what kind of techniques is easier to work.